Psychological Marketing What does that mean? What's Your Sales Process? What does it look like from a customers perspective? How Does The World See You? Have you ever checked this out with customers? The Emotional Buying Cycle How does your marketing and sales fit in with it? Why Stripes? So they blend with the herd - do you want that? Belief is the Key Want to find out why? Abraham Maslow Author of "A Theory of Human Motivation"
Kissed Lots of Frogs? Storming® - you've found your Prince! Do you want a scientifically proven formula to increase sales? You need to understand how people think when they are buying if you want to increase sales. Which is why Storming® gives you a structured, easy to follow integrated sales and marketing system. 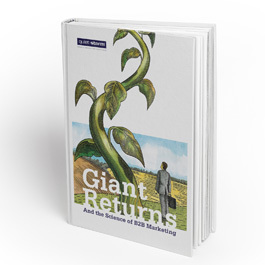 So you and your people can predictably inform, influence and persuade. 1) Relevance - Who is your audience and why should they listen? 2) Action - What do you want them to do and why? 3) Persuasion - What is the best way to reach and influence them? Giving you a structured, easy to follow integrated sales and marketing system. The step by step process means you will understand which strategies to apply and what makes them work. Quiet Storms’ comprehensive in-house capability and experience, means you can spend more of your time focused on what’s important. 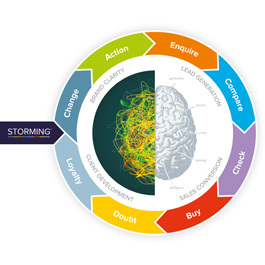 Storming® is a fusion of psychological marketing, scientific advertising and objective results! The understanding of how people process information and emotionally react when making a decision. (i.e. The right message, words, images and colours). 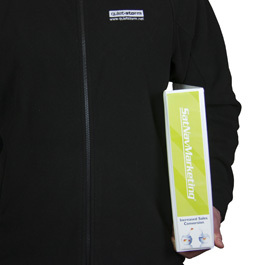 The functional marketing tool used to deliver the message in the most effective, measurable format. (i.e. Websites, brochures, presentations, exhibitions, video, branding, etc). A central online portal which captures all the relevant success measurements real-time from your marketing tools. It provides a single integrated communication platform for your business. This includes an automated sales pipe, the ability to set tasks and all communications to be logged centrally to optimise efficiency. Most importantly, it’s a system that you can easily apply, explain and measure. It's so easy we can teach you the basics in a morning! Have you ever lost a sale to an inferior competitor? Have you got Clear Business Objectives? Do you know what it takes to be an effective sales person?